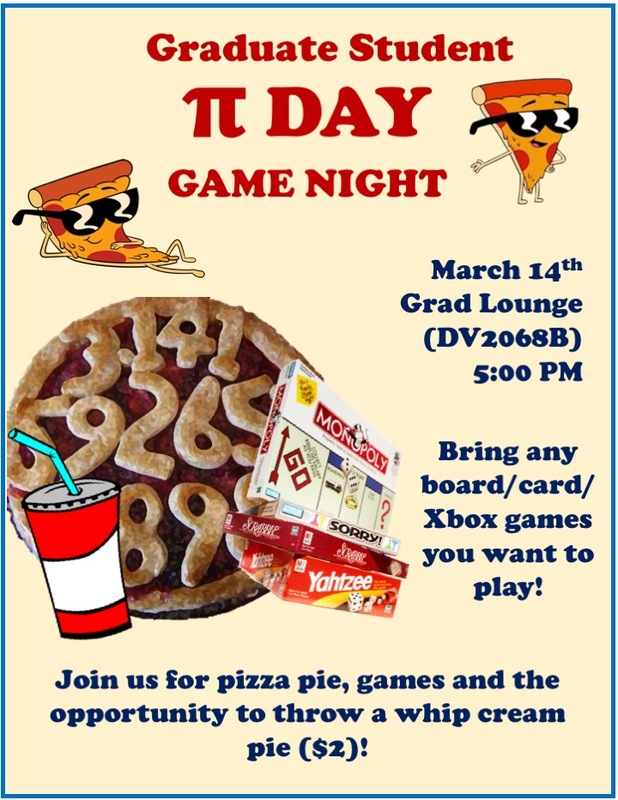 UTMAGS will be holding another pi day this year on March 14th that starts at 5pm. It will be similar to our fun games night we held in January. We will have board games, pizza, drinks, and a station where you can throw a whipped cream pie in someone’s face for ($2)!